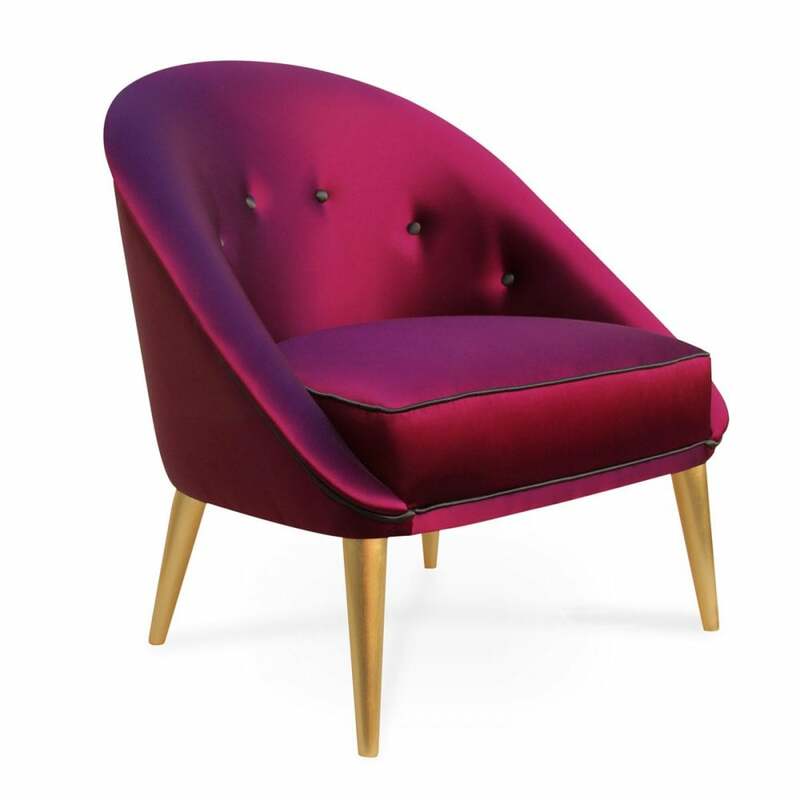 Classic in its silhouette, the lustrous curves of this chair complement those of the modern day woman. High gloss varnish reveals the many hues of the sultry satin being draped and adorned. Detailed stitching trails along the edges leading down a path to solid wood legs elegantly finished in gold leaf. Upholstery: KOKET Fabric Collection; or COM (POA). Feet: Gold, Copper, Silver Leaf; or lacquer in RAL Classic colours.